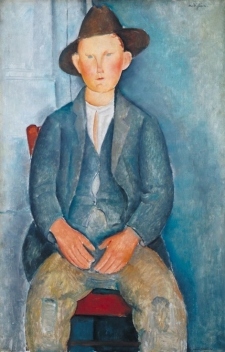 Vive is partnering with Tate on the upcoming Modigliani exhibition; the first of its kind at Tate Modern. The exhibition will feature an integrated VR experience on Vive, taking visitors deep into the artist’s world. Recreating elements of early 20th century Paris, the experience will draw on archival material and new research to bring his historical context to life. Using Vive’s immersive VR technology, visitors can delve into the surroundings that shaped his art, revealing a fresh perspective into Modigliani’s life and influences. Paul Brown, GM for HTC Vive, Europe said: “Modigliani was a pioneering force in art innovation, pushing boundaries and new possibilities which inspired his peers and contemporaries. At Vive, we see something similar with VR, and we want to revolutionise the way people create and experience art."